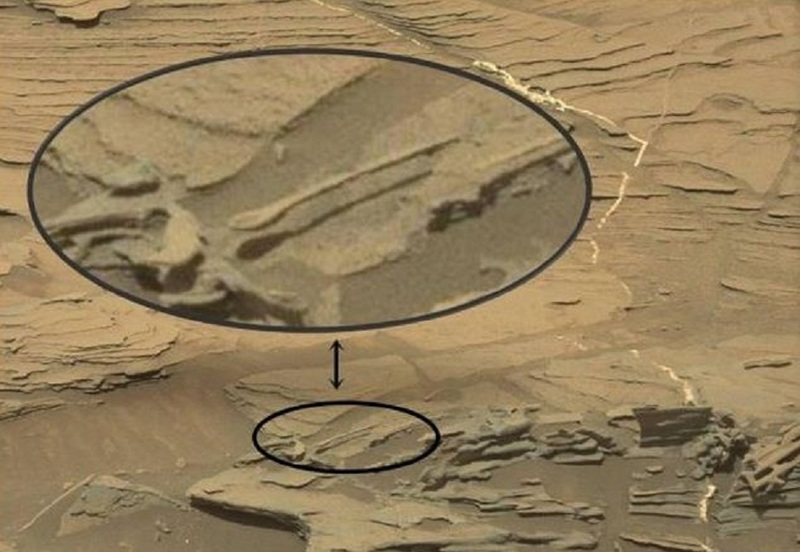 The pictures sent back from NASA’s Mars Curiosity rover sometimes comprise odd rock formation. In several of these rocks, the conspiracy theorists has spotted everything from coffins, pyramids, iguanas and the last time I checked, even Obama’s head. Now another one of those group says they have seen a ‘floating spoon’ on Mars in photograph taken by Curiosity’s Mastcam on sol 1089 of the mission. The ‘spoon’ was found by members of the UnmannedSpaceflight.com forum and scientists have dismissed it as another typical case of pareidolia. This is the psychological reaction to seeing familiar objects in unrelated places. The 'spoon' actually offers an insight to the oddly calm Martian environment, which can create faint geological structures. With its top-heavy, skinny structure, it’s hard to imagine something alike existing on Earth. This is because, on Earth, if the circumstances are accurate, rocks are crudely shaped by wind erosion. But it is different on Mars, where the atmosphere is quite thin and gravity is weak, these landscapes can be even more delicate making tiny projections, such as this ‘spoon’. And while conspiracy theorists will continue to be shocked by the bizarre structures on the red planet, NASA says they may not be so rare after all.